Nowadays, the tank-style water heating system is slowly becoming a thing of the past due to the gaining popularity of a tankless water heater. A steady supply of hot water is a household necessity for most people. In the average home, hot water heaters are mainly used for bathing, cleaning, laundry and cooking purposes. Traditionally, household water heaters are designed to keep water in a large tank where the stored water is kept hot at all times. So, what are the advantages of owning a tankless heater? A conventional storage tank water heater supplies hot water stored in a reservoir. Typically, a tank for a single family has the capacity to store up to 80 gallons of hot water. The tank style continuously heats and reheats stored water to maintain its temperature. Once full, hot water is released from the top while cold water enters the bottom to replace the amount of water used. Since this system constantly heats up water even when the hot water faucet is not in use, it consumes and wastes energy at the same time. This is known as standby heat loss. With tankless water heaters, there is no standby heat loss which means less energy is consumed, and no energy is wasted. These water heaters will only provide hot water when needed. As such, they are also known as a on demand water heater. From the word tankless, this water heating system does not use a storage tank. Hence, hot water is supplied by heating up cold water as it travels through a pipe into the unit. Depending on your water heater’s capacity, you can have a steady supply of hot water one faucet at a time or use simultaneous outlets for more powerful models. What is the Advantage of a Tankless Water Heater? Households that use hot water less will appreciate the energy efficiency a tankless water heater offers since it only operates when a hot water tap is turned on. On average, energy costs can be reduced up to 35% in a year. For bigger homes, using this system may require the purchase of multiple units for different water outlets. Although some models allow simultaneous use, of course, they are more expensive. These water heaters operate using one of the following utilities propane gas, natural gas or electricity. Check your location to see which of the above utilities is available in your area. Most of the time, upgrading a conventional water heater becomes a problem when you don’t have enough space to accommodate a larger tank. With a tankless heating system, space is not an issue as most models are small enough to fit almost anywhere. The newest models today are being manufactured smaller and smaller, in fact the Ariston GL4S electric mini tank water heater fits right under your sink. For larger hot water requirements, the tankless styles are mounted on a wall, and you have the option to choose whether you want an indoor model or an outdoor one. If the capacity of your unit is estimated appropriately based on your household’s size and use of hot water, there will be no worries about running out of hot water. In the past, one needs to prioritize and schedule the use of hot water among family members, including appliances, since everything relies on the volume of hot water in the tank. Now, there are some models of gas water heaters that cater to the demands of a larger home or family. These models are quite expensive because they have the capacity to provide hot water to multiple fixtures and appliances simultaneously. Storage tank type units have the tendency to accumulate rust and scale which eventually affect the cleanliness of your hot water supply. With a tankless water heating system, as long as your water pipes are clean and in good condition, you will always be supplied with fresh, hot water. Since most tankless are operated using digital technology, manufacturers have included safety features. Some of these features include temperature lock to prevent accidental or unauthorized changes to preset temperatures. Digital displays are also included so that you can regularly check your settings. Some units are also equipped with leak detectors. According to the Department of Energy(1), the lifespan of a tankless water heater is expected to be longer than storage water heaters. A lifespan exceeding 20 years for tankless systems is expected while storage types should last about 15-20 years on average. The extended lifespan is primarily due to their easily replaceable parts. Plus, more and more safety features like scale prevention, are being added to ensure that these units are able to stand the test of time. Like all things, no system is perfect. Hence, here are some things you need to consider before deciding on a tankless water heating system. This is probably the main issue most people encounter when shopping for tankless heaters. Unlike conventional storage tanks, going tankless will cost you twice as much; and that is just for the unit alone. Additional costs can also add up depending on the model, capacity, and accessories. You will also have to consider installation costs as most units require professional installation for warranty purposes as well as special venting requirements when needed. For typical tankless systems that put out 2.5 to 5 gallons per minute of hot water, you may experience a sudden splash of cold water before it quickly becomes warm again. This phenomenon is known as “cold water sandwich effect”, and this is common among small-capacity tankless heating systems. That is because they’re not able to produce large amounts of hot water at once. This usually happens when a hot water tap is turned on and off repeatedly. For areas with hard water, having a water softener may be required so as not to damage the tankless system. Now that you know the advantages of owning a tankless water heater, the decision to go for it or not is another question. 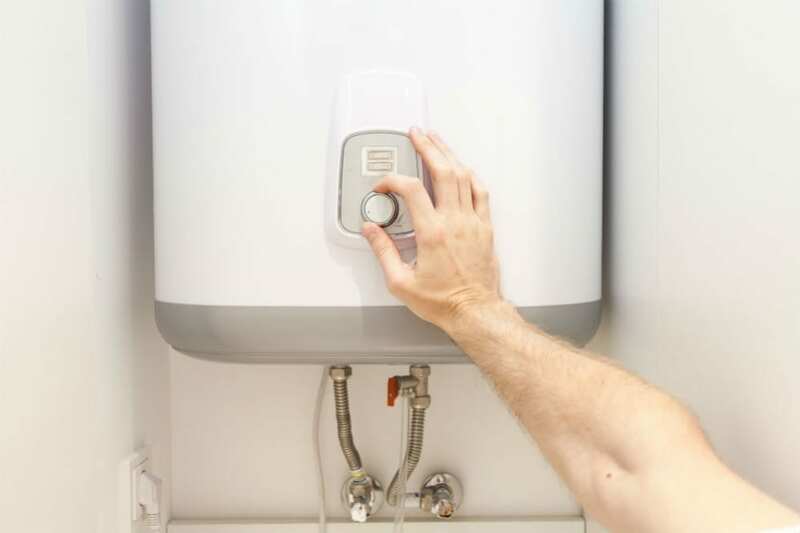 Remember, buying or upgrading your water heating system is a long-term investment which is why it is important to check the water heater reviews of different models to determine your household needs as well as your budget beforehand. From the advantages and points listed above, check if these benefits suit your requirements. While weighing in the benefits, you should also consider the downsides that you might encounter along the way. With these in mind, you should be able to make the right decision that best suits your needs.